InuYasha's father defeated a powerful Chinese moth yōkai named "Hyōga" 200 years ago. Now a Shikon Jewel fragment has freed "Menōmaru", Hyōga's son. He seeks revenge for his father's destruction and to free the power of his father sealed away with him. Menōmaru and his minions, "Ruri" and "Hari", begin battling with InuYasha. Miroku and Sango have their hands full dealing with the duo, Ruri having copied Miroku's Wind Tunnel and Hari having stolen Sango's faithful companion, Kirara. 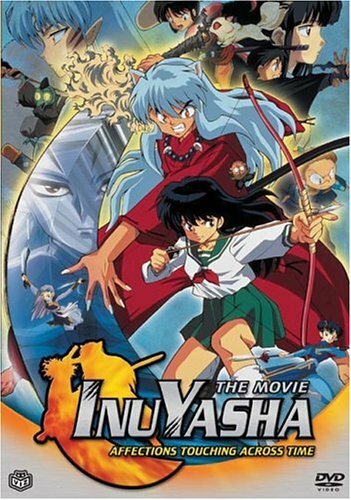 Menōmaru curses Kagome so she turns against InuYasha. When Menōmaru is finally able to access the power of his predecessors, sealed away by InuYasha's father, he becomes the new Hyōga and exponentially more powerful as each generation gains the power of all the preceding generations. Hyōga soon begins to change the essence of time and space as he's absorbing the souls of countless people in order to fully merge himself with his family's power. This causes the mind control that he put on Kagome to awaken and injure Kaede and search for InuYasha. As he's crossing a bridge, InuYasha thinks he sees Kikyo but instead it's Kagome who is wearing clothes similar to Kikyo's. InuYasha greets her on the bridge while Kagome is trying to tell him to run, but unfortunately cannot be heard. Then walks over to InuYasha and puts her head on his shoulder. He embraces her after which Kagome says "InuYasha... get away. ", warning him of her attack. He looks in amazement but is then stabbed by magical "claws" that come from Kagome's hands; afterwards, he realizes what Menōmaru has done. He then is chased by the controlled Kagome to the tree that he was sealed to. Regaining control of herself for a moment, Kagome tells InuYasha to run. After hearing that from everyone, InuYasha gets angry saying that he will not run and leave Kagome alone. It is with that Kagome loses control and shoots InuYasha to the tree (similar to what happen between him and Kikyo fifty years earlier) Kagome manages to break free of this control and cries out in pain to InuYasha and runs over to him, holding him in her arms. Kikyo then comes along saying how ironic it was for that to happen. Then she begins to tell Kagome that this happened because Kagome did not belong in this era that she needs to take the Jewel Shard and go to her own time. Kikyo then forces Kagome down the Bone Eater's Well to remove her once and for all since through Menomaru's manipulation of time she thought that Kagome would be trapped in the future.